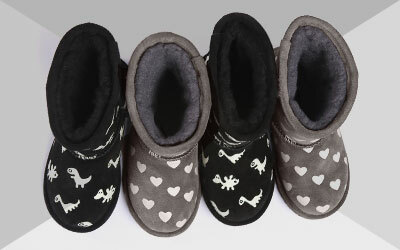 The website at www.emuaustralia.com (the “Website”) is operated by EMU Australia (Europe) Ltd (the “Company”) which is registered in the United Kingdom under company number 06690592. The registered office is at 5 Grove Court, Grove Park, Enderby, Leicestershire, LE19 1SA. For any questions please contact our customer call centre via email at onlinesupport_uk@emuaustralia.com or by telephone on +44 207 713 2080. 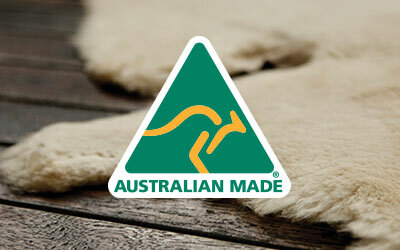 References to “we”, “us”, “our” and “EMU” in these terms refers to the Company. By purchasing a Product and/or using our Website, you indicate that you accept the Terms and that you agree to abide by them. If you do not agree to the Terms, please refrain from purchasing any Products or using our Website. (d) accessing the Website from that country. After placing an order you will receive an email from us acknowledging that we have received your order (“Order Acknowledgement” This does not mean that you order has been accepted. Your order constitutes an offer to us to buy a Product. All orders are subject to acceptance by us and we will confirm such acceptance to you by sending you an email that confirms that the Product has been dispatched (“Dispatch Confirmation”). If you are contracting as a consumer, you have the right to cancel a Contract at any time within 14 days for any reason. The cancellation period (“Cancellation Period”) will expire 14 days from the day on which you acquire, or a third party other than the carrier and indicated by you acquires, physical possession of the goods. To exercise the right of withdrawal, you must inform us [Emu Australia] of your decision to withdraw from this contract by an unequivocal statement (e.g. a letter sent by post, fax or e-mail). This correspondence should be sent to us by email to onlinesupport_uk@emuaustralia.com for the attention of Customer Services. You can also phone us to inform us of this at +44 207 713 2080. To meet the cancellation deadline it is sufficient for you to send your communication concerning the exercise of your right of cancellation before the Cancellation Period has expired. You must send back the Products to us in their original condition with the appropriate purchasing documentation, without undue delay, and in any event not later than 14 days from the day on which you communicate your cancellation from this Contract to us. The deadline is met is you send back the Products before the period of 14 days has expired. You will have to bear the direct cost of returning the Products. If you cancel this Contract, we shall reimburse to you all payments received from you, including the costs of delivery (except for the supplementary costs resulting from your choice of a type of delivery other than the least expensive type of standard delivery offered by us). We may make a deduction from the reimbursement for loss in the value of any goods supplied, if the loss is the result of unnecessary handling by you. We will make the reimbursement without undue delay and in any event not later than 14 days from the day on which we are informed about your decision to withdraw from this contract. If you return a Product for any other reason, we shall examine the Product and notify you of your refund via email or exchange within a reasonable period. Refunds or exchanges will be processed within  days of the day you inform us that you wish to return the Product. We will refund any money received from you using the same method originally used by you to pay for your purchase. If you do not wish to cancel your order straight away, or do not have the right to do so under paragraph 10.4, you can give us a new deadline for delivery, which must be reasonable, and you can cancel your order if we do not meet the new deadline. If you do choose to cancel your order for late delivery under paragraph 10.4 or paragraph 10.5, you can do so for just some of the Products or all of them, unless splitting them up would significantly reduce their value. If the Products have been delivered to you, you will have to return them to us or allow us to collect them, and we will pay the costs of this. After you cancel your order we will refund any sums you have paid to us for the cancelled Products and their delivery. The price of any Products will be as quoted on our Website in the local currency from time to time, except in cases of obvious error. Products purchased from this Website are of satisfactory quality and reasonably fit for all the purposes for which products of the kind are commonly supplied. Subject to any specific warranties offered in relation to specific Products or those implied by law, we do not offer any guarantees or warrantees in relation to the Product(s). As a consumer, you have legal rights in relation to the Products that are faulty or not as described. We are under a legal duty to supply Products that are in conformity with this Contract. Advice about your legal rights is available from your local Citizens’ Advice Bureau or Trading Standards office. You must not modify the paper or digital copies of any materials you have printed off or downloaded in any way, and you must not use any illustrations, photographs, video or audio sequences or any graphics separately from any accompanying text. For the avoidance of doubt all proprietary notices, in particular intellectual property notices such as copyright ©, trademark, ™ and ® must be preserved and displayed in tact. Waiver and Rights of Third Parties If we do not insist upon strict performance of any of your obligations under the Contract or these Terms, or if we fail to exercise any of the rights or remedies to which we are entitled under the Contract, this shall not constitute a waiver of such rights or remedies and shall not relieve you from compliance with such obligations. Contracts for the purchase of Products through our Website and any dispute or claim arising out of or in connection with them or their subject matter or formation (including non-contractual disputes or claims) or the use of this Website will be governed by the laws of England and Wales. Any dispute or claim arising out of or in connection with such Contracts or their formation (including non-contractual disputes or claims) or the use of this Website shall be subject to the non-exclusive jurisdiction of the courts of England and Wales. Any contracts for the purchase of Products through our Website and all communications between us will be in the English language.